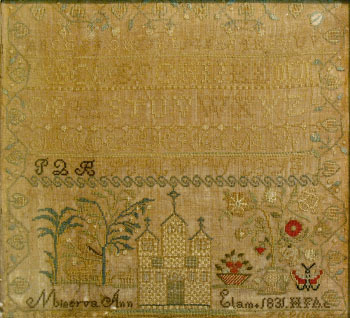 Minerva Ann Elam (1813-1895) was eighteen years old when she made her sampler at the Harpeth Female Academy in Triune. She married Benjamin Branch Taylor (1808-1889) and the couple lived on a farm in Rutherford County where they raised eight children. The three-towered structure in the lower middle of Minerva's sampler is of German origin and is usually identified as Solomon's Temple. 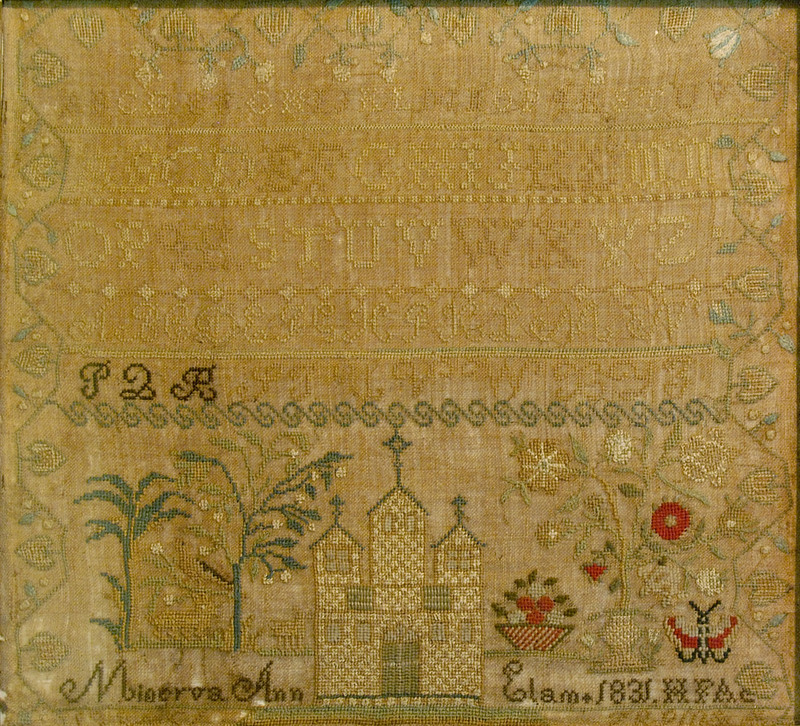 It is an unusual motif to find on a Tennessee sampler. The red butterfly to the right of the temple is more common on Middle Tennessee samplers.